Many of the most interesting wines grown in Italy come from regions that were unknown (or very underestimated) just a few years ago. Campania is now established as an excellent source of distinctive, forceful red and white wines from native grape varieties, but even in Campania there are growing areas that seem to come out of nowhere; one such surprise is the Amalfi Coast. I had associated the area mainly with Limoncello and honeymooners, but after tasting with some small producers from the region it became clear to me how interesting these wines can be. Luigi Reale runs his family's inn and restaurant in the village of Tramonti, on the hills above the Amalfi Coast. Almost as a hobby he also makes about 1,000 cases of wine each year, all from varieties indigenous to Campania and indeed to this area specifically. We import two of these wines, the ‘Aliseo’ white and the ‘Cardomone’ red. Both are cleanly made, individual and delicious. 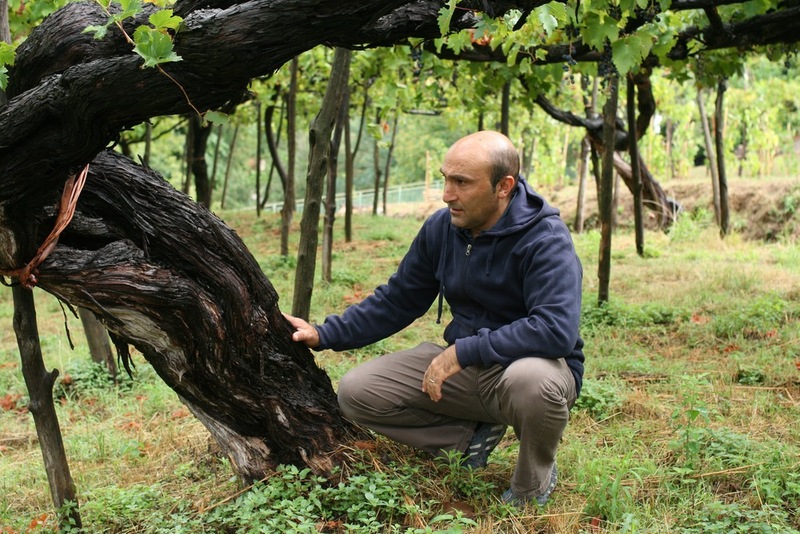 Luigi's vines are between 70 and 120 years old, which is to say pre-Phylloxera; they are ungrafted*. * Most grapevines anywhere in the world have to be grafted onto the roots of American rootstocks, because of the spread of an American root-louse with the imposing name of Phylloxera Vastatrix (the American vine-roots are not affected by the insect). 'Own-rooted' or ungrafted vines are those which have been planted on their own roots because the soil does not support the Phylloxera insect. These soils, mostly consisting of sand or slate, are rare, and whole vineyards of ungrafted vines are extremely rare. The volcanic soils of southern Italy and Sicily support more ungrafted vines than any other wine-growing area I have visited, but it's still very unusual. Most of these vines at Reale pre-date the arrival of phylloxera in this area. Named after the wind that brings good weather, the ‘Aliseo’ is made of 50% Biancolella, 40% Biancazita (said to be a type of Falanghina), and 10% Pepella. The grapes come from very old vines, planted on their own roots* between 70 and 120 years ago; yields are very low. The wine is fermented and aged in stainless steel to allow the best expression of the fruit, with no malolactic fermentation. Aromas and flavors include flowers, lemon-peel, herbs (including tarragon), and wet stones; the mouthwatering fresh acidity gives a very long finish. This is one of the best southern Italian white wines I have drunk, and there is stiff competition these days. 200 cases produced. 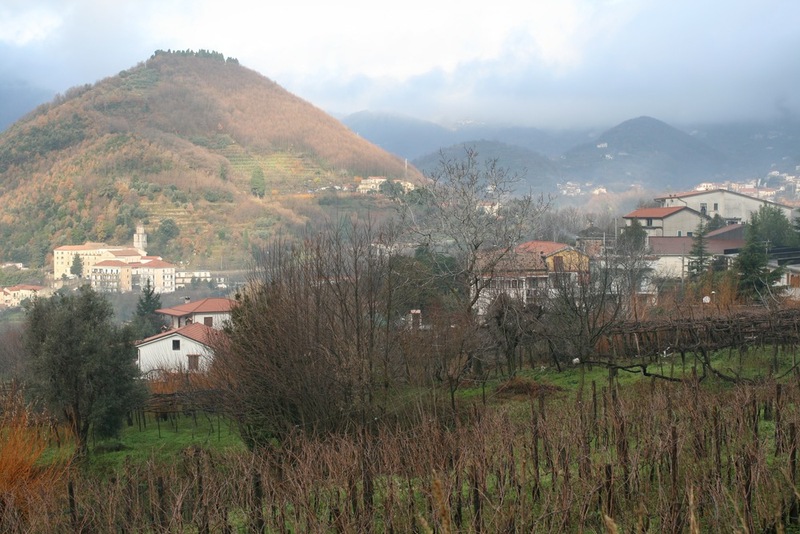 Named after the district where the vineyards are found, Cardamone is made of 80% Per' E Palummo (the local name for Piedirosso) and 20% Tintore di Tramonti, a local grape known for its very dark color. The grapes come from very old vines, planted on their own roots* between 70 and 120 years ago; yields are very low. The color of this wine is indeed a deep appetizing dark purple-red with violet glints. In aroma and flavor the wine is plummy, spicy (especially black pepper), chewy, and very long; it shows very attractive fresh fruit flavors from such a warm climate. The winemaking is expressive but completely clean, fermentation is done in stainless steel, and aging in stainless steel and 400L barrels. 450 cases produced.